Everyone feels down once in awhile. Whether you woke up in an off mood, had a bad day at work, or something truly devastating happened, you need to be able to lift yourself back up again. It helps to have a whole bag of coping tools to get back on track rather than just one or two. Some tricks will work better than others, depending on the day and situation. Write down the positive statements. 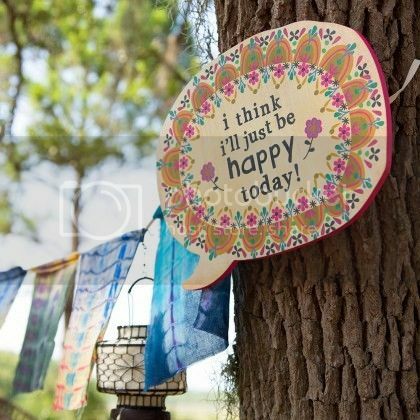 Hang the affirmations up in your living space. Surround yourself with positive quotes and read them often. Read the affirmations aloud regularly. Call a friend or relative who always has a joke or amusing story to tell. Let a person cut ahead of you in traffic. Pick up trash on the street and throw it away. Pet your dog and then take him/her for a walk. Sit outside and watch the clouds. Watch a sunrise or sunset. Set the timer for 30 minutes and write about anything and everything. Describe in great detail what’s bugging you. Venting can help! Stock up on a few coping tools to lift yourself up, so you’ll be ready next time you hit a bump. Happiness is within your control.